I’m not sure where this blog is going, let me be 100% honest about that. I am not blogging to create a business. But I’m intrigued with blogging as an art form, as a way to communicate with the world your own direction. I’ve followed a lot of blogs that were undeniably marketing their lifestyle, though I don’t think that’s what they attended. I think by reading a lot of blogs we can help find what might be missing in ours. Reading about someone else’s soul makes you assess your own. That’s not a lie. So, I bought a book on blogging. A lot of the last half of it was about blogging for profit, which seems like such a foreign concept to me. 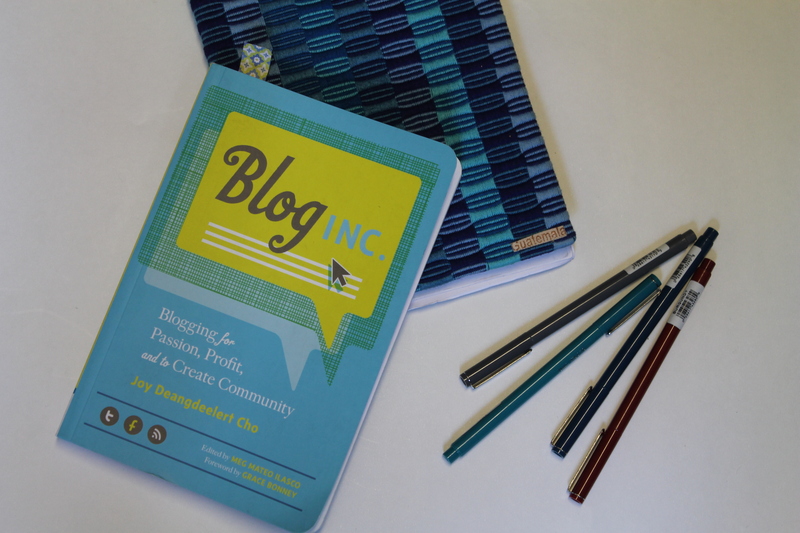 But the part about blogging for community and passion really stuck with me. Hearing other people’s success stories made me feel empowered, not because I want to create an empire of this blog, but because it the blogging community is such a beautiful place where readers care the lives and successes of other men and women. It’s really eye opening to read a book on how that is so – then also learn about empire making because even if we don’t reach it, it’s nice to dream. Thanks for the recommendation. I plan to check out.